Houses many of Marshall’s athletic department offices, located at the north end of Joan C. Edwards Stadium, Huntington, W.Va. This building also houses a home team dressing room, visitor's team dressing room, exercise and weight room, equipment room, meeting rooms, serving kitchen, and a sports training room. 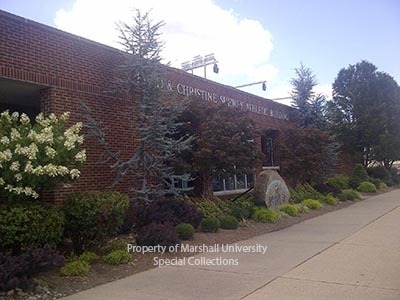 Named For: Fred and Christine Shewey, who donated over $1 million to Marshall.